Join The Somerset Hills Community Chorus and The Sebastians for an evening of Mozart's masterpiece, Requiem. 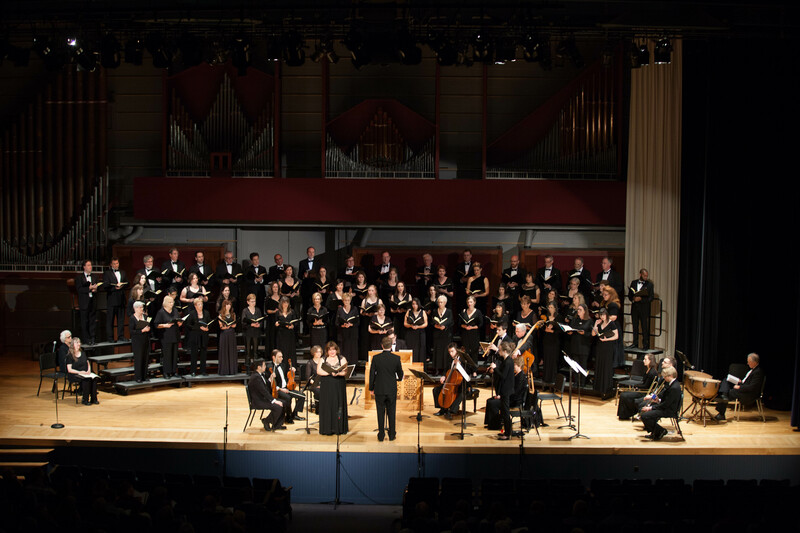 Stephen Sands, the intrepid Artistic Director of Music in the Somerset Hills, conducts the Somerset Hills Community Chorus, singing alongside professional soloists, in a performance of Mozart’s last – and uncompleted – work. Anyone who has seen the film Amadeus will know that the Requiem – aside from being recognized as one of the great choral works of Western music – is laden with mythology. Who was “the dark stranger” who commissioned the work from the 35-year-old Mozart on his deathbed? Was Mozart (as he himself appears to have thought) composing his own requiem, and was he right to think he had somehow been poisoned? How much of the Requiem did he actually write? And who completed it after his death? Modern scholarship has shown that Constanze Mozart, who outlived her husband by more than fifty years, commissioned one of Mozart’s young pupils to finish it and gave him Mozart’s preliminary drafts and notes – “scraps of paper”, she called them – to work from. This young man, Franz Xaver Süssmayr, completed the work in the weeks immediately following Mozart’s death in December, 1791, allowing Constanze to claim the second half of the commissioning fee by presenting the finished work to Count Franz von Walsegg. Walsegg, who was an amateur chamber musician of some talent, commissioned a good deal of music from outstanding composers in Vienna, often passing them off as his own work, which is what he probably intended to do with the Requiem (Walsegg’s wife had died earlier in 1791). Instead, he was the one who was tricked: Constanze told him the entire work was by Mozart, written and completed before his death – the presentation copy even included Mozart’s forged signature. Süssmayr later claimed the Sanctus and Agnus Dei were his own work, but he must have contributed to several other movements since the autograph score (discovered in 1839) shows that only the Introit and movements down to the beginning of the Lacrymosa were anywhere near complete in Mozart’s hand. It is possible – indeed, likely – that other composers may have contributed, too, but what is certain is that the Süssmayr version of the Requiem, immediately recognizable as a Mozartian work, quickly became recognized as the authentic one. The version Stephen Sands is presenting in this concert is not quite the Süssmayr version, but very firmly based on it. It is, in fact, a 20th century version by the American composer and musicologist, Robert D. Levin (born 1947), who is Artistic Director of the Sarasota Music Festival. The orchestra – The Sebastians, with whom Music in the Somerset Hills has often collaborated in the past – will play the score on period instruments, so the sound will be very close to what Mozart intended. 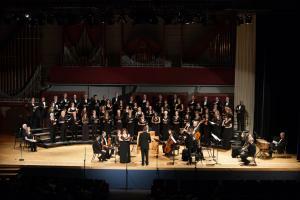 The Somerset Hills Community Chorus comes together for two concerts each year. It is open to anyone between the ages of 14 and 80 who wants to sing and is prepared to rehearse one evening per week. Tickets are also available by sending checks to Music in the Somerset Hills at P.O. Box 729, Bernardsville, NJ 07924.